They both struggle for attention, with neither one achieving to become in this case the sole interest of their mother who is enjoying the shade of a large tree. What goes for these two lion cubs also applies for Namibia and the Richard Mille RM 58-01 Tourbillon World Timer Jean Todt: both are beautiful and impressive, both have the power to take your breath away, and combined they made for one of the most memorable trips I have ever had. The Richard Mille RM 58-01 Tourbillon World Timer Jean Todt is a behemoth of a watch. 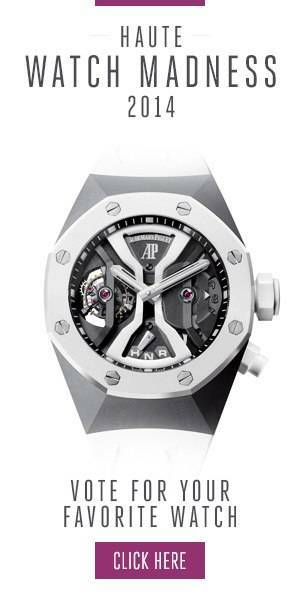 Not only because of its 50-millimeter large case but even more so because of the complications that can be found inside. This watch was created for Jean Todt, who is a personal friend of Richard Mille and also President of the FIA ((Fédération Internationale de l’Automobile) for which he has traveled to over 130 countries. It features an innovative way of adjusting the time zones through the bezel and is also fitted with a torque limiting crown and a tourbillon. One of the first things I noticed was that despite its large diameter the RM 58-01 is almost glued to my wrist and wears surprisingly comfortable. This is thanks to the shape of the lugs, the way the strap closes around my wrist, but also the light weight of the case. Setting it to another timezone is indeed a breeze, and works quite intuitive. A second disc, below the ones indicating the different timezones, in white and black tells you if it is day or night there, yet also adds additional depth to the design. When I landed in Namibia, the RM 58-01 also proved from a visual aspect to be the perfect watch for this country. The case, made from red gold and grade 5 titanium, had the same hue as the vast landscape that unfolded around me. A landscape that was rough and robust, but also beautiful and refined, exactly like the Richard Mille. I often found myself staring at the distance, taking in the beautiful skies, the color of the dirt, and the remote trees, as well as the imposing wildlife. A glance at my watch was enough to achieve the same yet then on a micro-level: The tourbillon was mesmerizing, the finishing of every detail beyond perfect and I was very surprised about the legibility of the dial which offers so much information. Namibia is also a land of extremes, with a very harsh environment. During the day it can be blazing hot, yet when the sun sets the temperatures drop to below freezing. For the RM 58-01, this made little difference, as it continued to perform as it should, and with a ten-day power reserve, I could focus completely on my trip. The vast landscape and the exotic wildlife made this a trip to never forget, but credit for that also goes to the RM 58-01 which felt, unlike any other watch that I have ever had on my wrist. It is a refined powerhouse, a superb Haute Horlogerie creation and one of the best and most enticing travel watches ever created!